Apparently, someone has been doing this since the 2000’s here in Manila. Charlie’s Pritchon was a revelation. 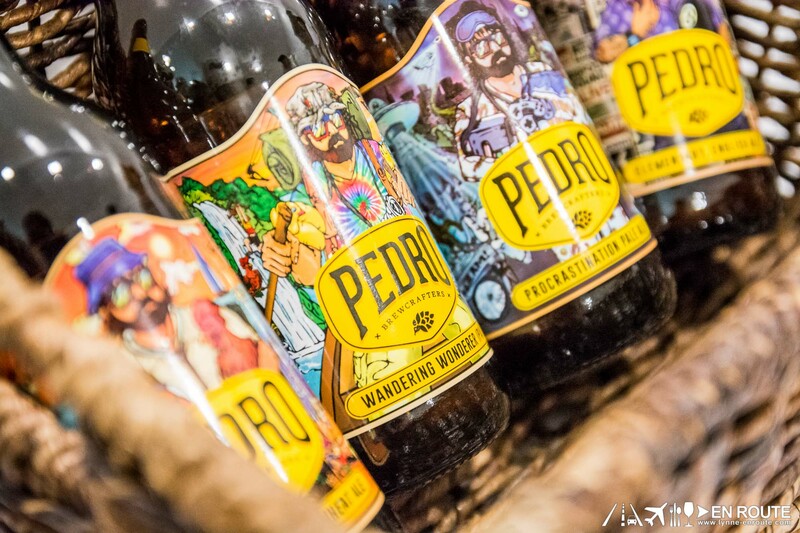 Seen here nestled cheerily with some of the best Philippine craft beers by Pedro Brewcrafters (pair it together. You will not regret it), you get a mix of both worlds of deep fried pork and the traditional coal roasted lechon. It’s color may not have the reddish brown torched skin of the traditionally cooked lechon, and replaced with a more golden shimmer, but the crispiness of the skin and the tenderness of the meat are now accentuated with a slightly buttery flavor that comes from deep frying. And since the bones are intact to keep the flavors locked, you will find yourself topping this into rice over and over again even without any sauce. And here comes the best part: They serve these with some sauces, too! Five sauces to be exact: Chili Tagalog, Honey Mustard, Liver, Garlic Ailoli, and Hoisin. Yes. Hoisin. Like Peking duck. 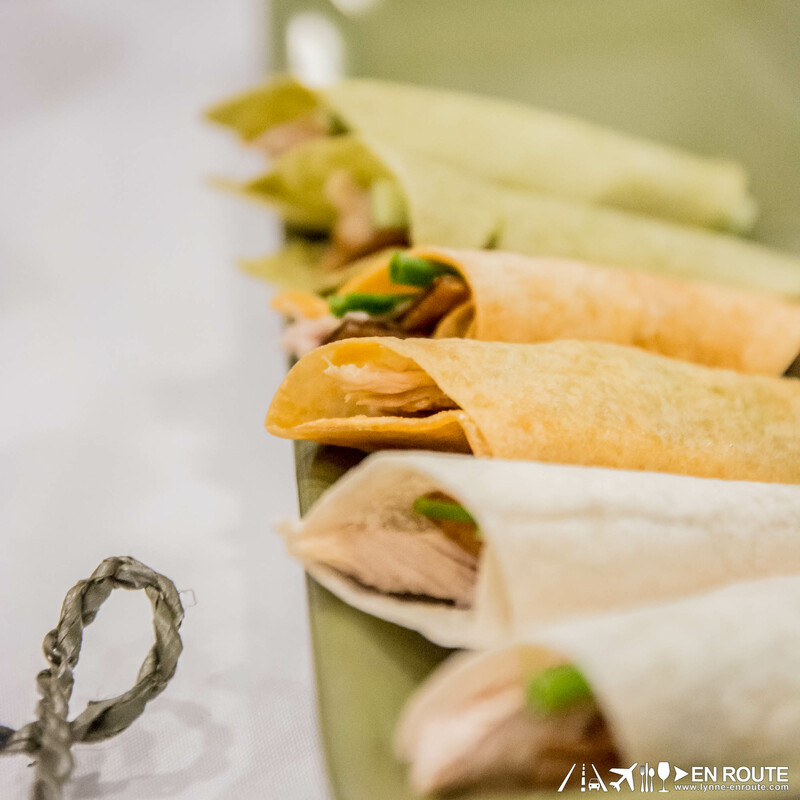 Order the whole lechon for a party, and they will carve it for you and serve and prepare it peking duck style, too! Complete with onions, radishes, and pita wraps. Whoever thought of these was a genius. (If you wanted to know, this was started by a very earnest hard working couple named Charlie and Dina Esguerra). 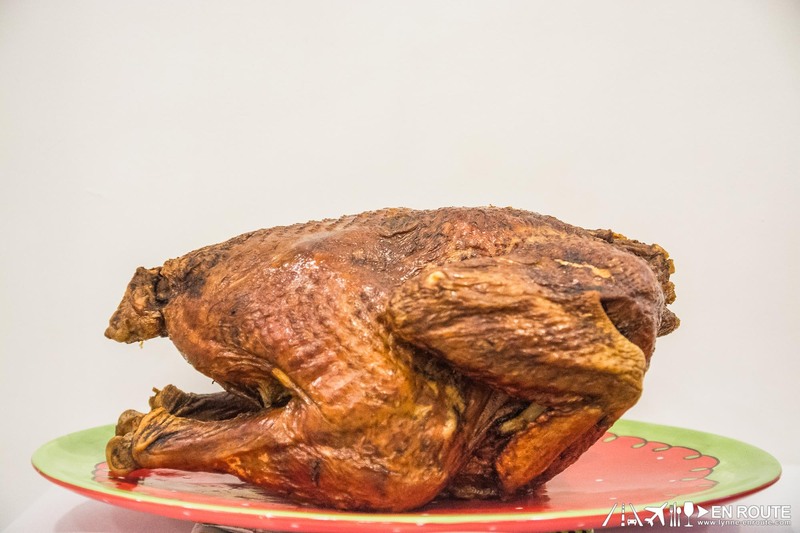 Other things they deep fry: A whole turkey. Christmas and New Year celebrations will never be the same. Other surprises from them are also this pesto crusted baked Norweigian salmon. 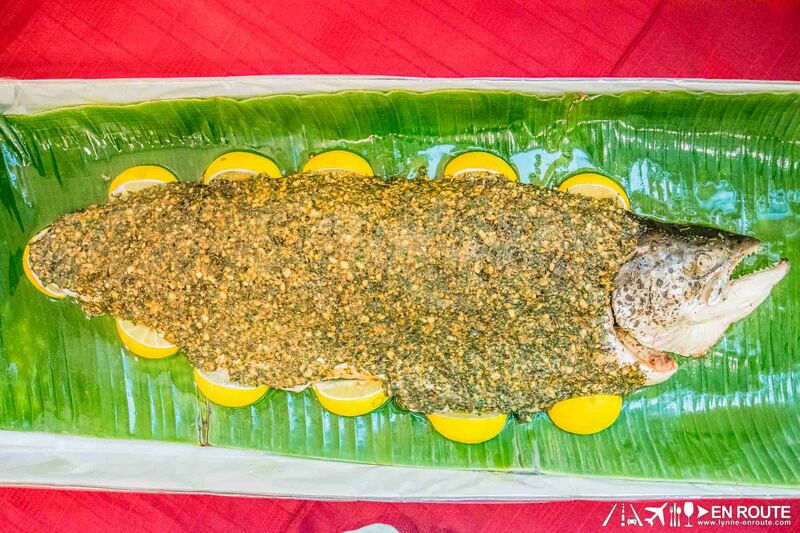 The big surprise here is that this salmon is already de-boned. Charlie said that when he saw some salmon presentations with bones that leave out too man scraps, he found it to be wasteful that he decided the best way for customers to enjoy is if they don’t waste any single part of the dish. It is delicious and a refreshing break from the deep fried ensemble. 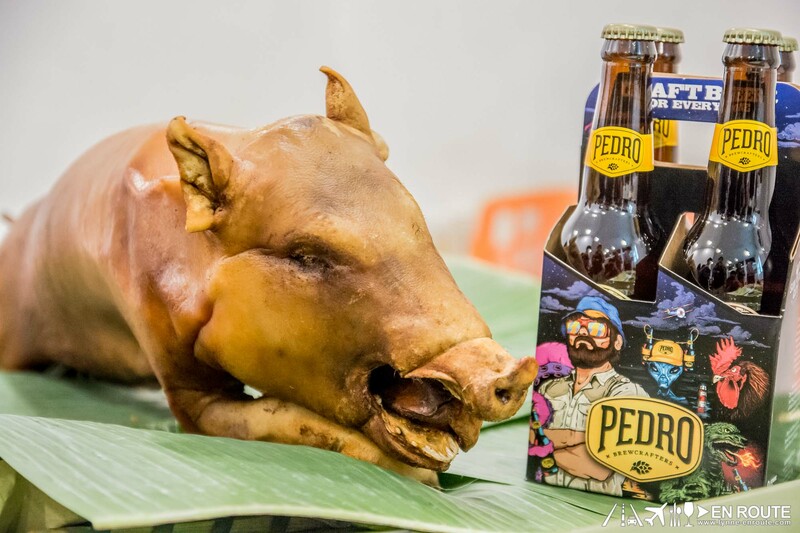 Pedro Brewcrafters have their beers distributed in most supermarkets in the metro manila area. We recommend looking at Rustan’s.